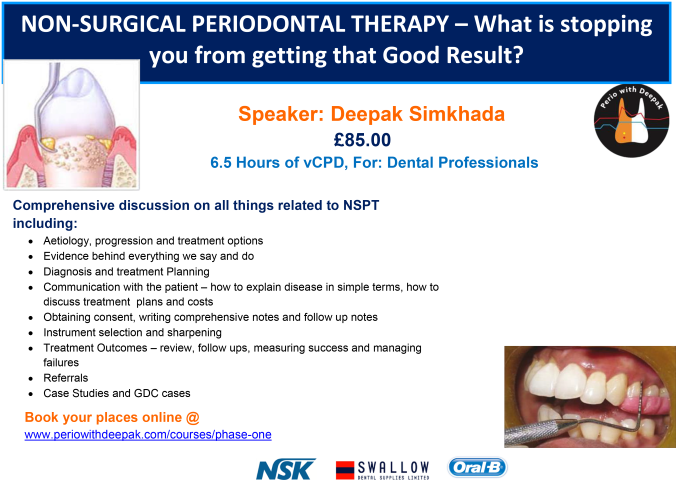 An great and eye-opening course for anyone who wants to know how to manage Perio patients and refresh their brain cells! 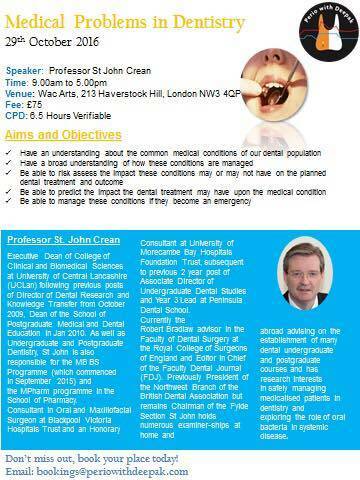 An incredible course run by an incredible man. 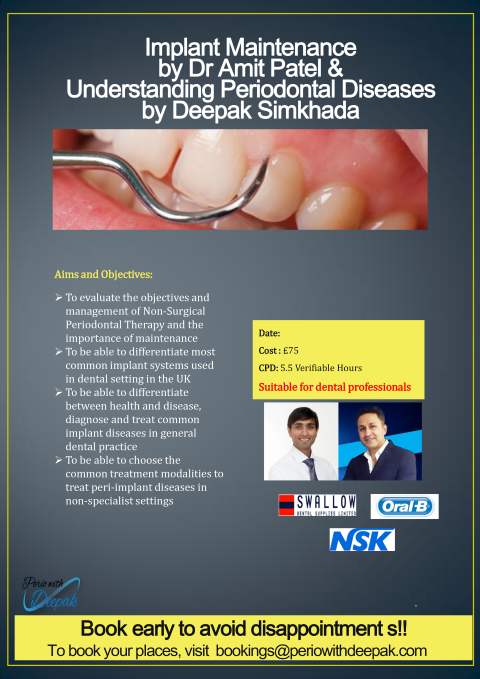 Deepak’s passion for perio is an inspiration to us all. 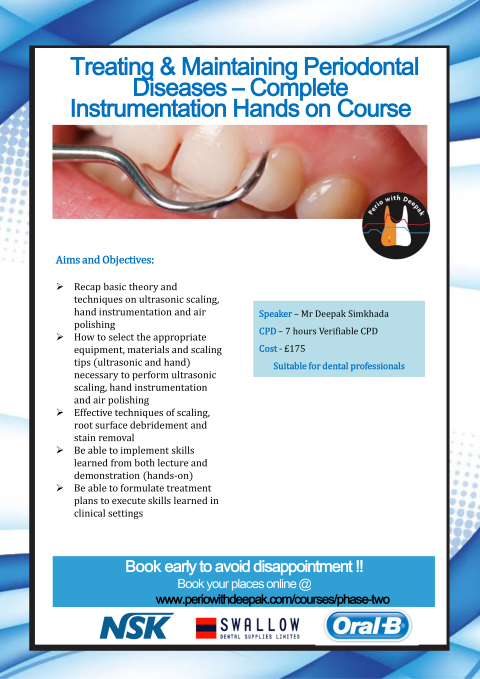 The course covered everything relavent to our clinical practice in an empowering way. I can’t recommend it highly enough!! 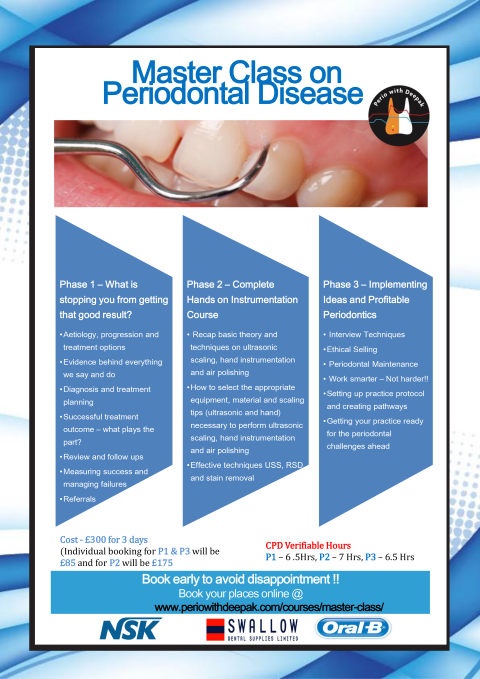 Phase one – Non-surgical Peridontal Therapy – What Is Stopping You From Getting That Good Result?